LAN files find software offer powerful search capabilities to perform quick searching for specific filename and hidden network resources. Network data locator utility comes with automation command line switches and easily searches on anonymous LAN FTP servers. Internet data finding tool can export data to XML, CSV and HTML format files. ...... FTP server search software can easily find music, video or software on home network. 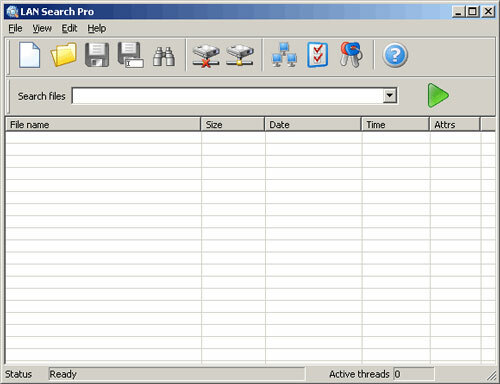 Professional network resources detector program is capable of performing searches on entire network by excluding computers listed in exclusion list. LAN directory discovery tool provides multithreaded search engine to search restricted resources by login account. Network resources search utility can find documents, database and spreadsheet files on corporate intranet. FTP server finder software provides option to customize search area, hidden resources and network folders. Professional network data searching application perform quick, easy and efficient search on local area network using wildcards. Qweas is providing links to Network Files Finder Tool 8.0 as a courtesy, and makes no representations regarding Network Files Finder Tool or any other applications or any information related thereto. Any questions, complaints or claims regarding this application Network Files Finder Tool 8.0 must be directed to the appropriate software vendor. You may click the publisher link of Network Files Finder Tool on the top of this page to get more details about the vendor.